The Opening of Barfoed Cycles...We head to the West Coast! Last weekend we had the pleasure of visiting the small town of Humlum on the west coast of Denmark to celebrate the opening of a very special shop. The Barfoeds came into our midst in the summer of 2015. 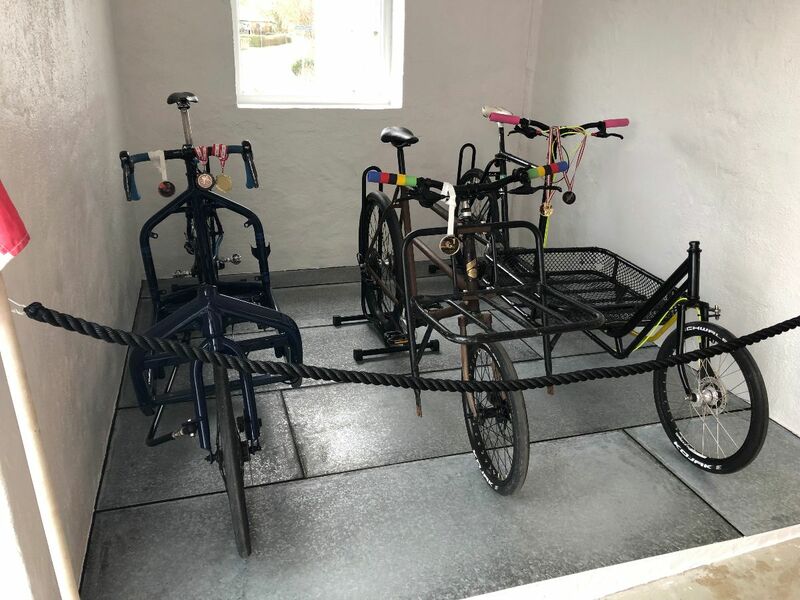 Lars and his young son Simon showed up Svajerløbet on two old Danish long john cargo bikes and joined in the festivities with massive amounts of enthusiasm……four years on, and after a pretty wild love affair with the Bullitt, they opened their very own shop. And what an opening it was! Harry and Brandon headed over for the weekend to congratulate the whole family and to socialise and ride a little in pastures new. Simon Barfoed and De Chris racing together in the Old Timer category at Svajerløbet’s 2015 edition. Heading to Humlum on the train was a pretty simple, though long six hour train journey for our fearless adventurers. 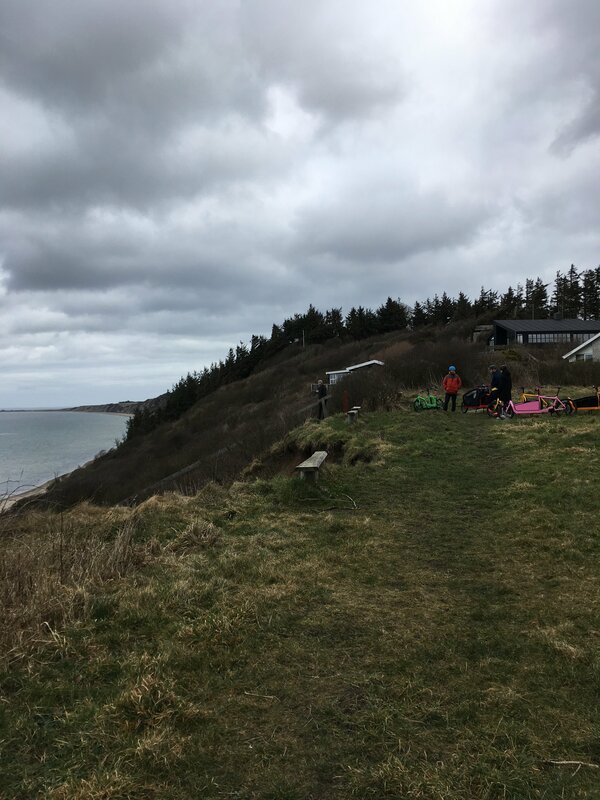 Heading out into rural Jutland for our two city slickers was somewhat of a culture shock….but fear not, the locals are friendly. 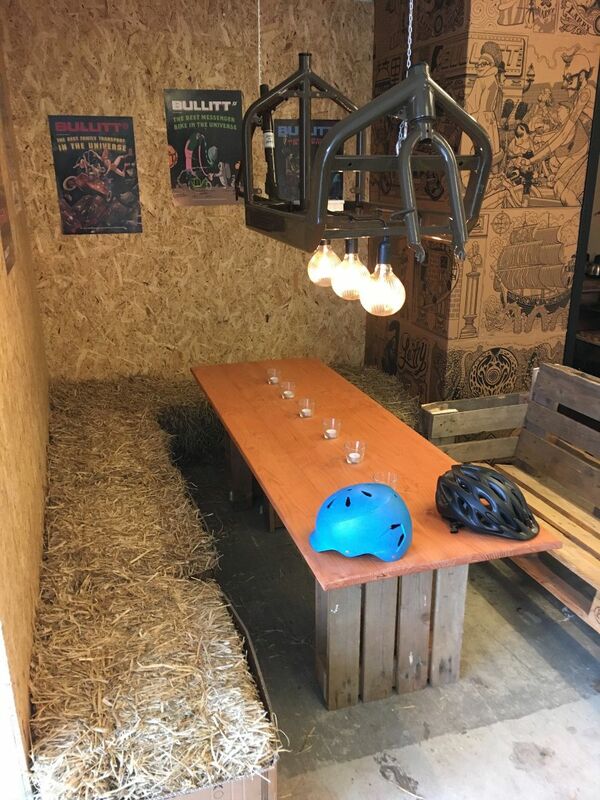 The Barfoeds have been beavering away to create an awesome showroom for cargo bike lovers and have dedicated a huge amount of time and energy to creating a space which is welcoming and reflects both them and the bikes they are selling. Top job. “I was pleasantly surprised by the local turnout for such a small town…..the interest and engagement was incredible regardless of whether people were interested in cycling. It’s nice to see people coming out and checking out something new in their neighbourhood.” Brandon. Barfoed Cykler….pretty cosy opening day vibes…. One thing we noted heading over there was the ease of which you could get to the shop space. 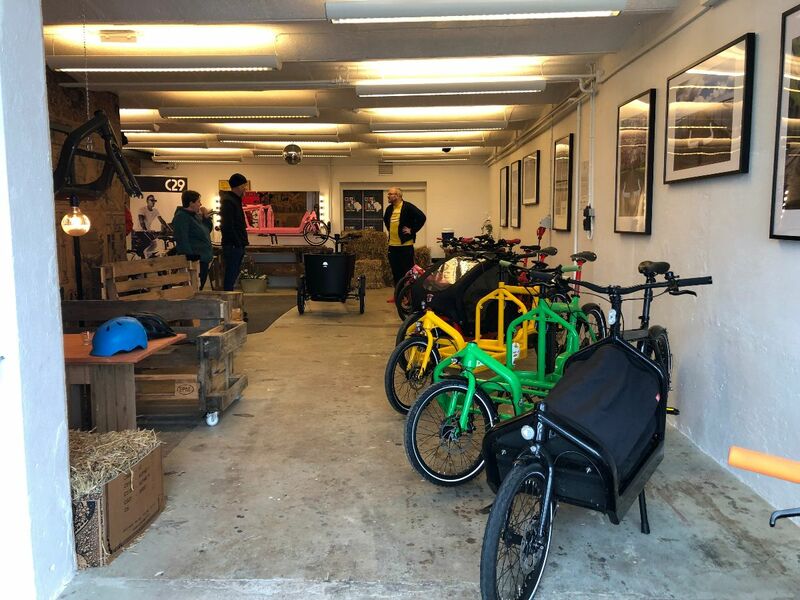 With a train station right around the corner it’s a pretty simple task getting there and they have an incredible selection of bikes that all available to test. It would be well worth the effort to head there if our shop in Copenhagen is too far and you are based in Denmark. As well as enjoying the opening immensely on the Saturday, Brandon was also treated to a nice Sunday ride up to the coastline pensinsula of Thyboran. The wind blows SERIOUSLY hard out here…eBullitt’s are very much appreciated! Luckily the Barfoeds have an enviably large fleet of Bullitt’s at their disposal. 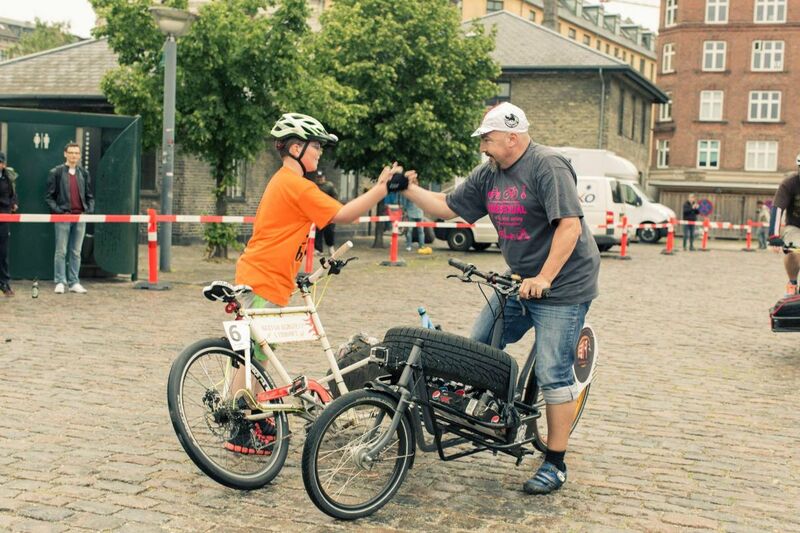 The Barfoeds have made a massive impact on cargobike awareness both here and abroad and their friendliness, commitment and enthusiasm has always shone through. They always make an effort to visit us here in Copenhagen and it was lovely to head over to them and support them in turn. We are absolutely convinced Barfoed Cycles will be a very special bicycle shop. Born out of passion and love, they deserve every success. A massive thanks for Lars, Susanna, Jakob and Simon Barfoed for all your support over the years. Simon’s race Bullitt, a Short John and a Long John adorned with medals!